What is a Residential Management Professional? 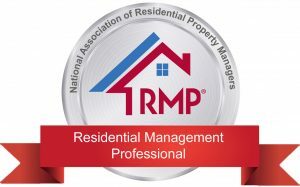 Has your property manager received the official Residential Management Professional badge establishing them as being accomplished, qualified, educated & recommended? We have worked diligently to ensure we are meeting this highest standards within our professional industry. While there are companies out there that are not serving the community in their best interest, we operate every day with the intent of making sure that we are doing our best to ensure honesty and integrity are at the height of everything we do. We would love to be of service you!